Located by the side of Black River, the Kalutara Bodhiya is undoubtedly a fascinating place to visit. Here are some interesting facts about this fascinating religious complex. The Kalutara Bodhiya welcomes countless pilgrims annually. 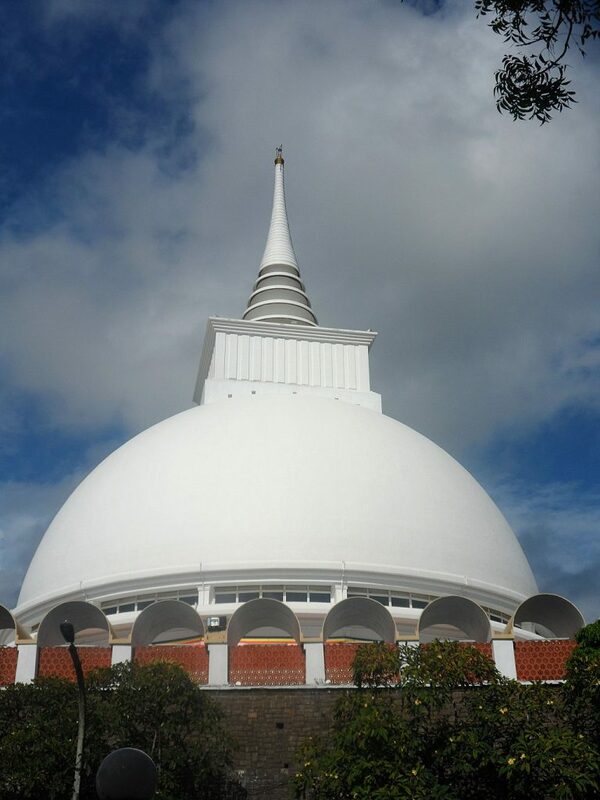 Spread across both ends of the main Colombo-Galle road, the temple which is known as the Kalutara Chaitya is made up on one side of the hollow chedi, while the bo-tree is located across the road on the banks of the river. The site is where river and sea meet, and the roots of the sacred tree dip into the waters of the River Kalu. Thirty-two saplings from the Jaya Sri Mahabodhiya, in Anuradhapura, were planted across the island. This was done as a decree by King Devanampiyatissa, Sri Lanka’s first Buddhist. It is believed that Kalutara was one of the sites chosen to contain one of the 32 saplings. If you’re staying at one of the many luxury hotels in Sri Lanka, the likes of Blue Water Club Suites, the Kalutara Bodhiya is 21 minutes away. It is believed that who so ever passing the temple, stops and offers alms are given the protection of the Dhamma. If you stand by and observe, you will see how just about every vehicle passing by, stops for one person to alight and offer a quick prayer and drop money into the road-side tills, as alms to the temple. The Kalutara Chaitya is one of the very few hollow Buddhist chaityas found across the globe. Inside are 74 murals, each showcase a different facet of the Buddha’s life. Inside the large main stupa are four smaller chaityas.